Biryani buffs will travel far and wide to get a taste of their favorite biryani. But it isn’t everyday that you get to travel to Luckhnow for the famous Luckhnowi biryani or Ambur for the mouth watering Ambur biryani. Here’s a little weekend present for you: Nawaab Sheik, a food delivery joint will bring some of the best biryanis from around the world to your door step. Right from Iraq, Pakistan, Luckhnow and Kolkata to South India! Nawaab Sheikh is a chain of food delivery joints that focus on serving biryanis from various regions of the world. 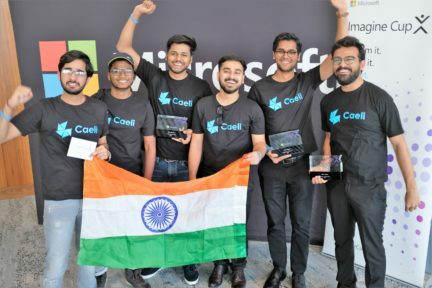 Founded by IIM Calcutta Alumni and Oberoi Alumnus, the company wants to be the Indian alternative to Pizzas and Burgers. Kopal Maheshwari, one of the founders of the food chain, feels that using the best ingredients and technology to provide the best biryanis will set them apart. Vinit Srivastava, the other founder of Nawaab Sheik is an IIM- Calcutta graduate and a Chennai based angel investor. Both founders have a thing for biryani themselves. “We’ve got Lahauri, Sindhi, Awadhi, Kokatta, Hydrabadi and a variety of flavors,” Srivastava, who is originally from Luckhnow tells me. Nawaab Sheik will have to compete with venture funded chains like Ammis Biryani, but the variety of biryanis at Nawaabs will trump competition, Srivastava feels. The company only delivers in Chennai right now. But it has plans to start operations in Bangalore & Hyderabad in 6-9 months.